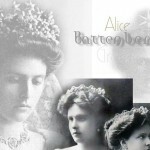 The DUCHESS often wears diamond stars in her hair as on this occasion. 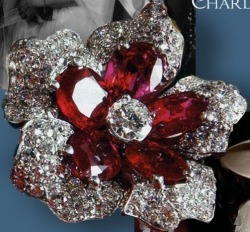 Her new jewels include diamond daisies which she will probably wear the same way. 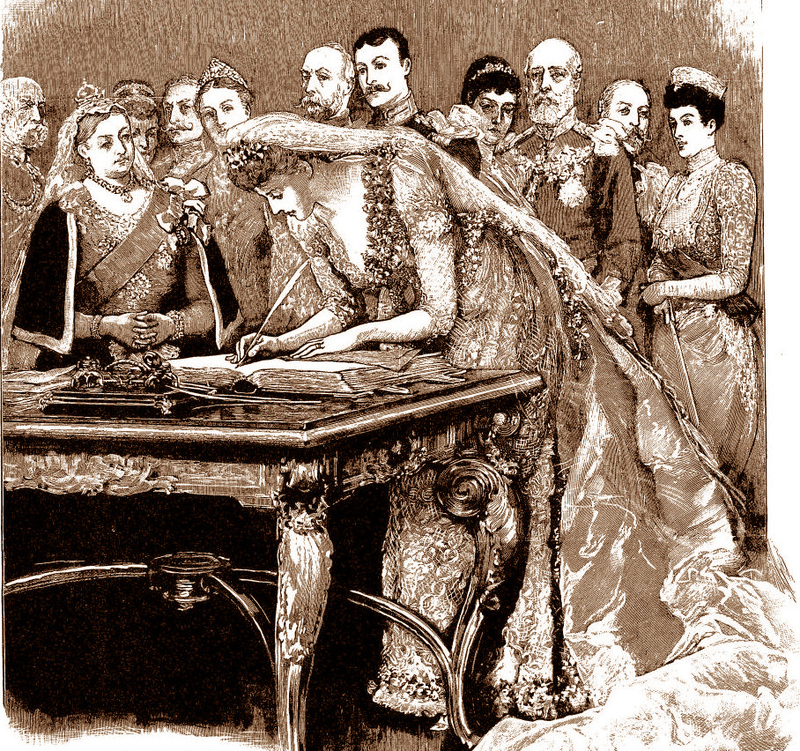 The Duchess of Kent inherits the major part of the late Princess Louise’s glorious jewels, which were the envy of every woman in England during the ’seventies. 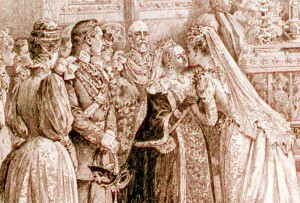 The Duke of Kent is known to be chief beneficiary under the will. The extent of the Kents‘ legacy is unknown, for Royal wills are secret, and not filed at Somerset House. The Duke of Kent, one of the greatest favorites within the Royal Family, is doted on by his elder relatives. He was the favorite nephew of the late Princess Victoria, who bequeathed to him the lovely home, Coppins. 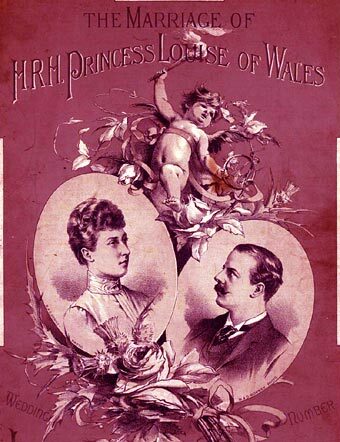 Now he inherits much of the fortune of his great-aunt, the late Princess Louise, whom he frequently visited, sitting for hours at her bedside in Kensington Palace. The Duchess was also a favorite for her own charm, because she was the wife of the Princess‘ favorite, and partly because her family went through vicissitudes of which Prin- cess Louise had seen so much. 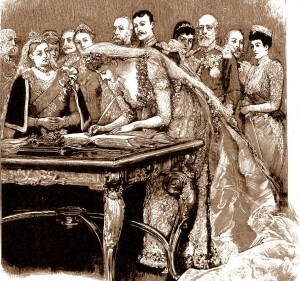 Princess Louise lived so frugally at Kensington Palace during her last years that she must have used only a fraction of the £6000 she received annually through the Civil list pension. She inherited the bulk of lier has band’s £619,000 and also inherited largely from her mother, Queen Victoria. 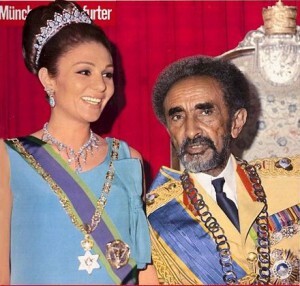 She was therefore one of thc wealthiest of the Royal Family. The Duchess‘ jewel legacy is a magnificent one. When princess Louise married the ninth Duke of Argyle (sic) in 1871 at the end of the Franco-Prussian war, there followed one of the most brilliant periods. She was the centre of a great social season, and her jewels were the cynosure of all eyes. These have not been worn for years and are mostly in the antique settings which are again becoming first favorites in modern taste. 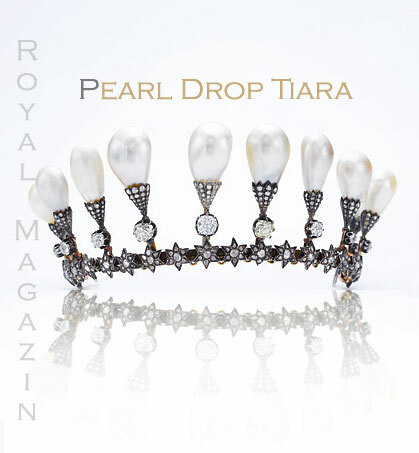 The Princess‘ jewel box contains a particularly fine collection of diamonds, pearls and opals. One beautiful necklace is of five large opals set around with brilliants, connected by a diamond chain. 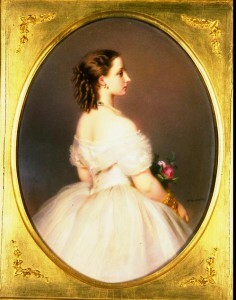 The Duchess of Kent wearing the type of pearl necklace and earrings she is rarely seen without. 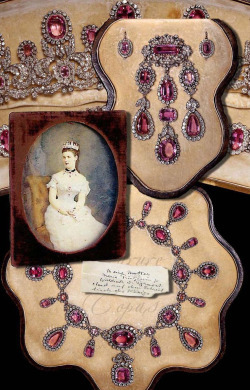 She now inherits some superb jewels from the late Princess Louise. 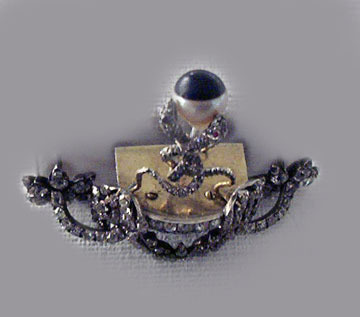 A large drop-brooch has two fine opals set in brilliants, and a pair of opal and diamond earrings matches this. 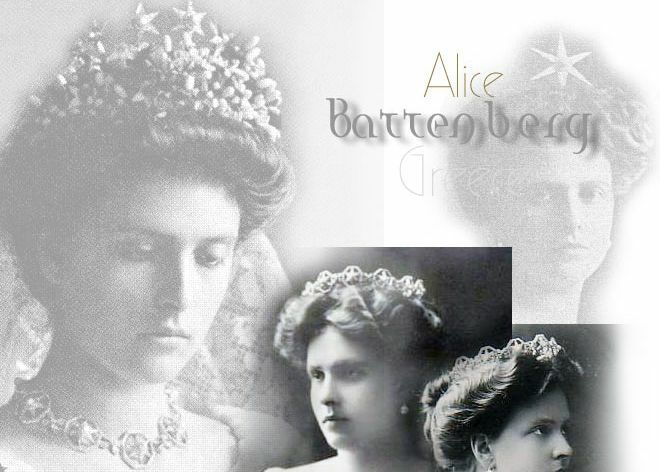 Particularly lovely are the diamond daisies mounted as hairpins which are understood to be included in the Duchess‘ Inheritance. She will probably wear these In her hair as diamond clips, for she is fond of wearing stars in her hair. 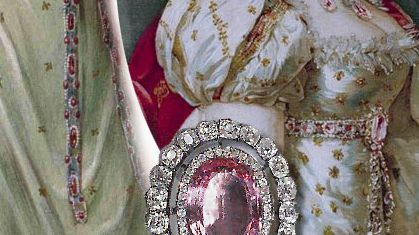 Other very valuable pieces in the collection include a tiara formed of a band of emeralds and diamonds, surmounted by a scrollwork in emeralds and diamonds, a gift from the former Duchess of Argyle. 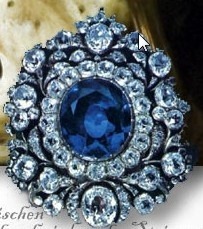 There ls also a pendant of line sapphires, mounted with brilliants and pearls and finished with a pearl drop. The centre of this pendant unhooks to form a bracelet. 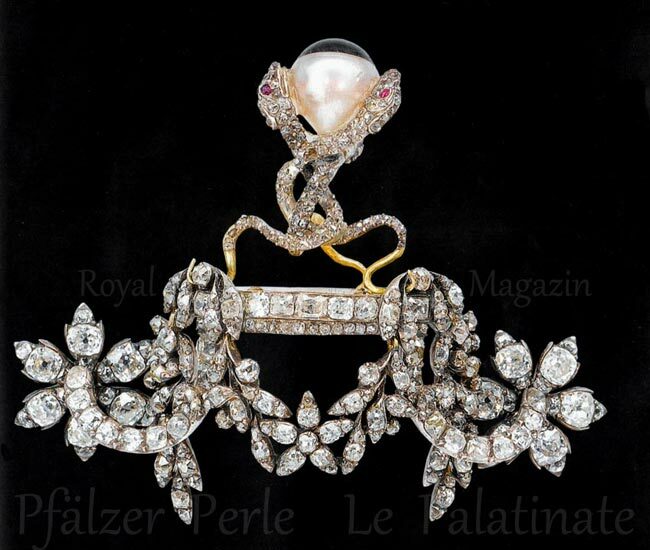 From one necklace of pearls and diamonds is suspended an oval locket, the centre of which is a large Oriental pearl surrounded by closely-set, large diamonds of great brilliancy. 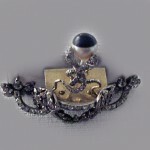 This was a gift from the Clan Campbell and the Jewelled locket is suspended by an emerald sprig of bog myrtle, the Campbell badge. Other lovely pieces include a two string pearl necklace valued at about £1000, a chased necklace with link« of diamonds joined with pearls, and a beautiful bracelet in the shape of a coronet, centre of which is a large diamond surrounded by eight smaller diamonds. 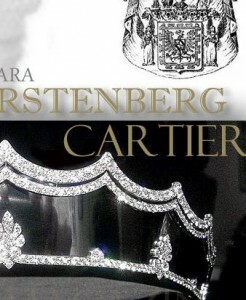 This is set in silver instead of gold, and would thus be mast fashionable to-day. Princess Louise also had some beautiful silver and gold services, including a richly chased silver-gilt dessert set, a chased silver-gilt tea and coffee service, and a complete silver-gilt toilet set. 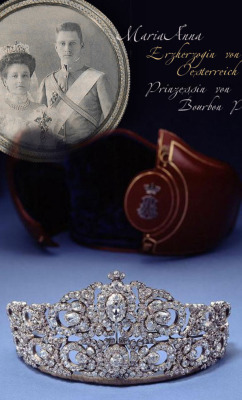 The Duke of Kent’s gift to the Duchess on her 33rd birthday was a flat bracelet of flexible platinum links studded with large diamonds.